This packet, and 34 more, available in the Year of 2nd Grade Spelling and Grammar Mega-Bundle! 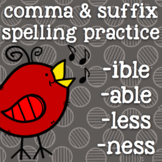 Click here!Students will use these 16 words and 5 bird themed activities to practice spelling -ible, -able, -less and -ness suffixes! Students will also practice sentence writing and using commas. 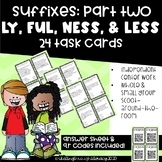 Activity Packet- Suffixes "Ness" and "Less"
I have created a packet with various activities for studying and workin with the suffixes "ness" and "less". 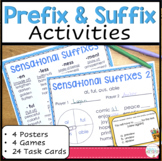 The activites range from dividing words into syllables, a cut and paste unscrambling syllables activiyt to form the correct word, a several activities to test student understanding of "ness"
Word Hunt Suffixes "ment" "ness" "less" "ful"